These Event booking Terms and Conditions (hereinafter referred to as the “Conditions”) are applicable to the Services (defined below) to be rendered by India Inc Limited, a company registered in England and Wales under company number 04463295, having its registered office at Eighth Floor, 167 Fleet Street, London EC4A 2EA, England, providing services under the brand name “India Inc.” to the Client (defined below) pursuant to the Booking Form (defined below) entered into between India Inc. and the Client. India Inc. and the Client are hereinafter individually referred to as a “Party” and collectively, as the “Parties”. India Inc. shall provide the Services as detailed in the Booking Form. Any special conditions mentioned in the Booking Form shall be read in conjunction with these Conditions. In the event these Conditions are in variance with any of the special conditions mentioned in the Booking Form, then, such special conditions shall override and prevail over these Conditions to that extent. (c) the generic terms and expressions used and not defined under these Conditions shall be construed in a manner that aids in the general construct of these Conditions and shall be understood in the parlance of the industry of the Parties and such interpretation shall be given to them, which a reasonable man of prudence engaged in such industry would construe them to be. 2.1 Engagement of India Inc. The Client hereby engages India Inc. to render, as an independent contractor, the Services and India Inc. hereby accepts the engagement and agrees to provide the Services. Nothing in these Conditions shall be deemed to constitute a partnership or joint venture between the Parties or constitute any Party to be the agent of the other Party for any purpose whatsoever. Except as provided by these Conditions, neither Party shall have the right or authority to assume or create or enlarge any commitment or obligations on behalf of each other and shall not represent that it has the right to bind the other Party in any manner. 2.2 Each order placed by or on behalf of a Client is an offer by the Client to buy the Services specified in the Booking Form subject to these Conditions. The Client is responsible for ensuring that the order is complete and accurate. 2.3 Upon submission of an order, and subject to the Client making payment of the Fee in accordance with clause 5 below, the Client and/or the Delegate will receive an email from India Inc., and/or PayPal confirming the booking, at which point and on which date a contract between the Client and India Inc. will come into existence in relation to the relevant Event. 2.4 If India Inc. is unable to provide the Services for any reason it will inform the Client and/or the Delegate by email and the order will not be processed. If payment for the Services has already been taken India Inc. will refund the full amount. Events. Any Client making a booking on behalf of a Delegate in connection with an Event will be responsible for the booking. The Client is responsible for ensuring the accuracy of Delegate contact information in order for India Inc. to communicate with the Delegate, for example to coordinate information on access to the Event, dietary needs and security purposes. By registering for and/or attending an Event, a Delegate agrees to be bound by, and comply with, these Conditions. The Client agrees to make each Delegate aware of these Conditions and it is the Delegate’s responsibility to read and understand these Conditions. To the fullest extent permitted by law and insofar as it is reasonable to do so, the Delegate agrees not to hold India Inc. liable for any damage or loss suffered or incurred by the Delegate during the course of attending an Event, including consequential (i.e. losses which are not incurred as a direct consequence of the event leading to any claim) or indirect losses or loss of profit, through registering for the Event, attending the Event, alteration of the Event schedule, cancellation of the Event, or any error or omission on the part of India Inc.. The Delegate is responsible for taking appropriate insurance cover in connection with their attendance at the Event. Where the Delegate is travelling from outside of the United Kingdom to attend the Event, appropriate travel insurance should be purchased independently and in advance of any travel or travel bookings. India Inc. will not be liable for reimbursing travel, accommodation or any other expenses incurred by the Delegate if they fail to attend the Event for any reason. Each Delegate by registering for and/or attending an Event accepts these Conditions and warrants that they are attending the Event in the course of their business. Each Delegate agrees to indemnify India Inc. and its employees and and agents against and hold them harmless from all or any loss or damage, injury, actions, proceedings or claims arising from any act or omission of the Delegate during the course of the Event. In allowing the Client to complete and submit the Booking Form in relation to an Event, each Delegate agrees that their name, business name and job title will be added to the Event attendee list. Delegates may be asked to undergo reasonable security searches at an Event venue. Delegates are responsible for ensuring their own safety and security whilst attending an Event. Whilst attending an Event Delegates will comply with a) all applicable law, including, but not limited to, all health and safety legislation and requirements and b) all instructions given by India Inc. or on its behalf, including, but not limited to, in relation to any security arrangements. India Inc. may, at its discretion, choose to photograph, film, broadcast or record the Event. By attending an Event Delegates grant India Inc. an irrevocable licence to use and sub-license the use of their name, voice, likeness, image and any contribution made by them at or to the Event in any and all media (whether now known or hereinafter invented) as part of India Inc. marketing and communications. The views expressed by any speakers at an Event are their own. India Inc. shall not be liable for the views, acts or omissions of any such speaker or any other attendees at an Event. Any information given or distributed as part of an Event shall not constitute advice by India Inc. or any speaker and should not be relied upon. Cancellation of a booking by the Client or the Delegate as relevant at an Event up to 2 months prior to the date of the Event will be refunded in full less an administration charge of 20% of the total Fee. India Inc. regrets that all cancellations received after that date cannot be accepted and no refunds will be made. The Client and/or the Delegate can request the substitutions of a Delegate by giving written notice to India Inc. up to 7 days before the date of an Event which the Delegate was due to attend. In the event of a cancellation of an Event by India Inc. it will use its reasonable endeavours as soon as possible to contact the Client and/or the Delegate using the contact details provided at the time of booking. India Inc. will also give notice of any cancellation through its website. Delegates are recommended to check this regularly prior to the relevant Event for up-to-date information. 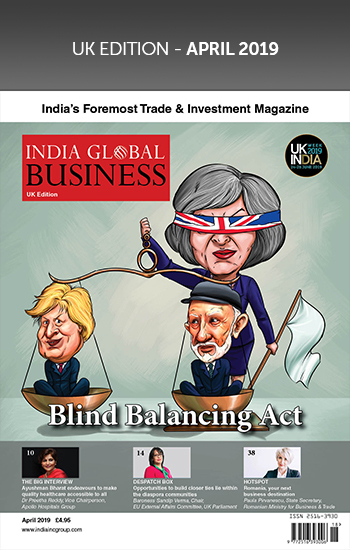 India Inc. will not incur any liability to the Client or Delegate if the Delegate is not able to attend an Event due to circumstances out of India Inc.’s control, including, but not limited to, weather conditions, fire, flood, transport strikes, closures or delays or any other force majeure or act of god. It may be necessary for reasons beyond India Inc.’s control to alter the venue or the date of an Event. India Inc. will give the Client and Delegate as much notice as India Inc is reasonably able and the booking will be transferred to the new venue or date. In this instance, no refund will be made and these Conditions will apply to any replacement Event. India Inc. reserves the right, at its sole discretion, to amend the programme, venue, speakers, entertainment, or cancel sessions or events at an Event at any time, without prior notification and without liability. The Fee shall be the price quoted on the relevant page of our website or on the PayPal website as relevant at the time of submission of a Booking Form. Payment of the Fee for an Event must be made in full at the time of booking. A Delegate will not be allocated a ticket to an Event until payment of the relevant Fee has been made in full. The Fee for an Event does not include any travel costs, or any costs of accommodation. The Fee relates solely to attendance at the Event. The Fee is exclusive of VAT. Where VAT is payable in respect of some or all of the Services, VAT will be payable in addition. Payment for Events may be made by credit or debit card via the PayPal payment platform. The Client and/or Delegate hereby accept that any such payments will be governed by PayPal’s terms and conditions as notified by PayPal to the Client and/or the Delegate at the point of payment. 6.1 Nothing in these Conditions shall be deemed to constitute any transfer of Intellectual Property Rights between the Parties. All Intellectual Property Rights arising out of or in connection with the Services provided by India Inc. and any or all associated activities shall be owned by India Inc. and the publication and display of any content shall be at the sole discretion of India Inc.
6.3 The Client grants to India Inc. a non-exclusive, worldwide, royalty-free license, with no right to sublicense, use, reproduce, and distribute online, the Client’s name, logo, and other trademarks and service marks for the sole purpose of fulfilling the India Inc.’s obligations under the Booking Form. 7.1 Both Parties will treat material received from the other Party with strictest confidence and exercise at least the same degree of care as it uses with regard to its own Confidential Information, but in no event less than reasonable degree of care, in protecting the disclosing Party’s Confidential Information. 7.2 In the event that the receiving Party is compelled by law to disclose any Confidential Information, to the extent permitted by law the receiving Party would notify the disclosing Party immediately about such disclosure. 7.3 This clause shall not apply to the Confidential Information which is already in the public domain otherwise than due to the reasons of breach by any of the Party of the provisions of this Clause or is already known to the recipient and is at its free disposal. if the Delegate and/or the Client has opted in, inform Delegates and/or Clients about similar services that we provide. Delegates and/or Clients may stop receiving this communication at any time by contacting India Inc. in writing. India Inc. may sub-contract the Services to any affiliate or third party in its sole discretion as it may deem fit for rendering the Services. In no event will India Inc. its agents, licensors or affiliates be liable for indirect, punitive, special, incidental, or consequential damages (including, without limitation, damages for loss of business profits, business interruption, loss of business information or other pecuniary loss) arising directly or indirectly from the use of (or failure to use) or reliance on the India Inc.’s Services. The Client hereby undertakes to keep and hold India Inc. indemnified and harmless against all costs, expenses, claims, liabilities and proceedings which may be caused to or suffered by India Inc. or made or taken against India Inc., which are arising out of performance of the Services by India Inc. or the contractual relationship between the Parties, other than as a result of any omission or negligence on the part of India Inc.
India Inc. shall not be responsible for a delay or default in the performance of its obligations under these Conditions or the Booking Form due to the occurrence of an event of Force Majeure. If India Inc. is prevented by such an event from performing its obligations under these Conditions and the Booking Form, India Inc. shall promptly notify the Client and/or the Delegate to that effect. If such event of Force Majeure occurs India Inc. shall decide the course of action, which may include temporary suspension of the Services or termination. In the event of termination on account of Force Majeure, India Inc. may in its sole discretion refund all or part of the Fees. 13.1 These Conditions and the Booking Form shall be governed by and construed in accordance with the laws of England and Wales, and the Parties agree to submit to the exclusive jurisdiction of the English Courts with regard to any dispute relating to them. 13.2 Consultation. Without prejudice to either Party’s right to take legal action, in the event of any dispute between the Parties arising out of or in connection with these Conditions and the Booking Form or their performance (including the validity), the Parties agree that they shall, so far as is reasonably possible, endeavour to settle such dispute amicably between the Parties. 14.1 Notices. Notices or other communications required or permitted to be given or made under Conditions and the Booking Form shall (except where otherwise specified herein) be in writing and delivered by e-mail or by post to the intended recipient at its address set out in the Booking Form or to such other address as any Party may from time to time notify to the other Party. 14.2 Severability. If any provision of these Conditions and the Booking Form are rendered void, illegal or unenforceable under any law, the validity, legality and enforceability of that provision under any other law, and the validity, legality and enforceability of the remaining provisions, shall not in any way be affected or impaired thereby. Should any provision of these Conditions and the Booking Form be or become ineffective for reasons beyond the control of the Parties, the Parties shall use reasonable endeavours to agree upon a new provision which shall as nearly as possible have the same commercial effect as the ineffective provision. 14.4 Amendment. No modification or amendment of any of the provisions of these Conditions or the Booking Form shall be effective unless made in writing specifically referring to these Conditions or the Booking Form and duly signed by each of the Parties. 14.5 Non-Waiver & Other Remedies. No failure or delay on the part of India Inc. in exercising any right, power or privilege under these Conditions or the Booking Form. No course of dealing between the Parties shall operate as a waiver thereof, nor shall any single or partial exercise of any right, power or privilege hereunder preclude any other or further exercise thereof or the exercise of any other right, power or privilege hereunder. The rights, powers and remedies herein expressly provided are cumulative and not exclusive of any rights, powers or remedies, which the Parties would otherwise have. No notice to or demand on a Party in any case shall entitle such Party to any other or further notice or demand in similar or other circumstances or constitute a waiver of the rights of the other Party to any other or further action in any circumstances without notice or demand. 14.6 Further Assurances. Each of the Parties hereto shall co-operate with the other Party and execute and deliver to the other Party such instruments and documents and take such other actions as may be reasonably requested from time to time in order to carry out, give effect to and confirm their rights and intended purpose of these Conditions and the Booking Form. 14.7 Survival. The provisions of these Conditions and the Booking Form that should survive by their very nature shall survive their expiration or termination. 14.8 Assignment. India Inc. shall be entitled to assign its rights or obligations under these Conditions or the Booking Form to any other person. However, Client shall have no right of assignment.